Well this was the second huge ‘event’ science film from 2013 that I put off seeing at the time, and have only just viewed in the last few weeks. Again, the initial issue here is nothing at all to do with the jaw-dropping visuals and trailer for the movie, but simply Tom Cruise. Yes, he has certainly performed across a wide range of roles and characters over the years by now, but he still comes over as quite smug in most of his movies. But eventually of course, I really had to see this movie. How could I not see it? Then only a short while into seeing the movie-maybe half an hour-I began to think ‘Right, well I should have seen this at the cinema, and probably IMAX too’ (even with Mr Cruise in it). Was this film sold way to strongly on just the visuals? Probably yes. It was based on a stunning graphic novel, and then directed by the writer, and same guy involved in TRON:LEGACY, and producer of recent Rise of the Planet of the Apes movie. All sounds like a perfect start for one mind-melting movie, visually at least. I would say also that the trailers that I did see before the film was released probably did eventually let me down, or feel like it was maybe holding too much back or even lacking something. While great sci-fi movies do not always need hundreds of gruesome slime covered aliens and spaceships crashing and flying around to be great fun, this was a very trimmed down, minimal movie. In some ways, that was a good thing. I am a huge fan of some of the more philosophical SF movies like Solaris, 2001, and this was heading along those lines from early on. I know that a good many have not liked this film, and some have been negative overall but even when I thought it was going to just get very bland and tiresome soon enough it would open up something else, memories, possibilities from around space, dangers from the around them. Possibly the flying drones are lacking and too derivative but thankfully, we do get Morgan Freeman, and while his character may be predictable he is still great to watch and hear onscreen. This is how many modern great science fiction movies should look or aim to start from at least, visually. It does have many very amazing lasting magnificent images of the planets, skies, moons and spacecraft many times. Some of the scenes moving along after the second act are plodding and not so great then it eventually gets along to the end. Yes, this movie has a troublesome end-some might hate it, find it very unoriginal, or simply just satisfactory. Eventually, it does work, and closes in a very good way after a few more impressive sequences. After getting past having to watch more Tom Cruise, this is a very admirable SF movie and really has to be seen on the biggest screen you can find. In a week from now I will be doing a second book signing event for my debut science fiction novel Orbital Kin, which was published at the end of last July/September. All who missed the event last time, or have been reading the book, or read it since and might like it signed or want to simply say hello, chat about sci-fi in books, films and more; come along. 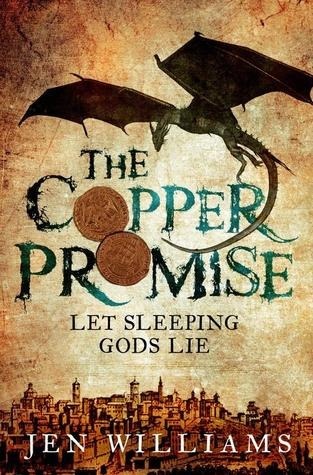 For the fifth title in the Hodderscape Review Project, we move into the realms of fantasy with the debut novel from Jen Williams, The Copper Promise, released this month by Headline. 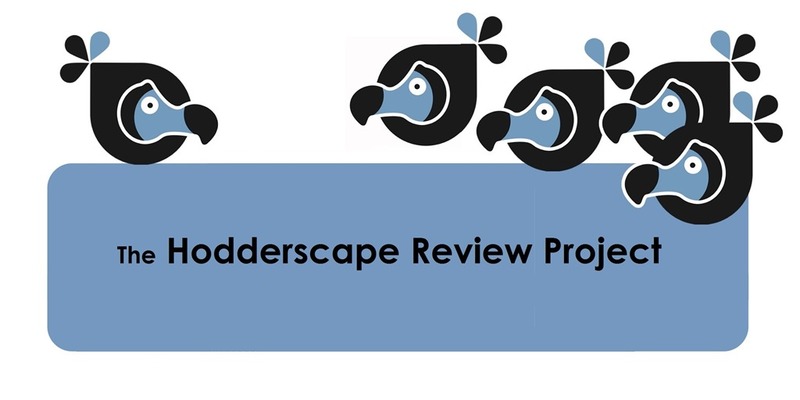 Don’t forget to check in to the Review Project site to find out what my fellow reviewers thought of this title. Pacific Rim:Cartoon Sci-fi acted out? After Christmas I have finally seen one of the big sci-fi mega-budget movies of last year, Pacific Rim. Yes, sadly somehow I did take probably far too long to view this movie, and had been keen to see it as it seemed to be extremely influenced by a few classic Anime features of which I am a fan. Is that the problem with Pacific Rim? Did you enjoy it, or find it far too simplistic, borrowing far too much from known Japanese Manga and Anime such as Gundam, Patlabor, Robotech? Would it be such a terrible thing to attempt to create some of those epic and awesome tales with real actors and live-action sets and locations? Now that computer CGI graphics and film animation has moved and progressed so amazingly far, this is what we get here. Another big issue here was that it was not really initially expected. Had had cult genre director Guillermo del Toro on board, but only after another large project finally fell through. So there was some feeling that he was doing this mostly for the money, but of course it still has much to admire and del Toro always puts love and great effort into all of his works. There are nowadays so many huge CGI Hollywood fantasy/scifi movies every year, special effects are in such great state and allow just about kind of tale to be depicted up on screen. One of the biggest problems pulling this film down was, yes it did have very amazing special effects, so jaw-dropping and epic but that seemed to almost possibly hide the possibly not so amazing acting and screenplay. Many moaned over the lack of any quality of depth to the screenplay, with it being very simple, straight forward, giant robots-smash-giant-monsters and that is all. Well, there is more at work, but maybe only just. It shares many similarities with the genre classic Godzilla movies of course, which suggested fear or nuclear war or disaster. It comments on war, military force, invasion, fear, gender roles at war and more. But did it even need to say much more or anything? We have had many years without a good, quality big simple monster smash-up movie such as the Godzilla films (with the notorious previous Hollywood version pleasing barely anyone at all years ago). Unfortunately, we now do have a new Godzilla movie due out this year, which many are excitedly waiting for and Pacific Rim may have taken some of the awe away from that big release sadly. We will see soon. With the Manga/Anime classic animated features like the Patlabor movies, Akira, Robotech, Gundam and more being loved by so many for years and since crossed over the seas successfully, we could take this movie as a loving tribute or as a good few have suggested, a problematic political tool on some level, marketing and pleasing cinema audiences and international relations between East and West. In some ways, I am glad that a movie like this has been made, before or instead of a terrible live-action Patlabor or Akira hits cinema screens. However you might view this movie, it thankfully can be greatly enjoyed as one of the most absolutely epic, visually stunning science fiction movies we have seen for a couple of years.